Owners of the all-electric Nissan Leaf will soon be able to wave goodbye to the process of plugging their car into a charging socket each night, thanks to a new wireless charging system in development at Nissan. Utilising an induction pad fixed to the ground of the Leaf's parking space (in your garage, for example), the system also features a receiving unit installed in the underside of the Leaf EV. 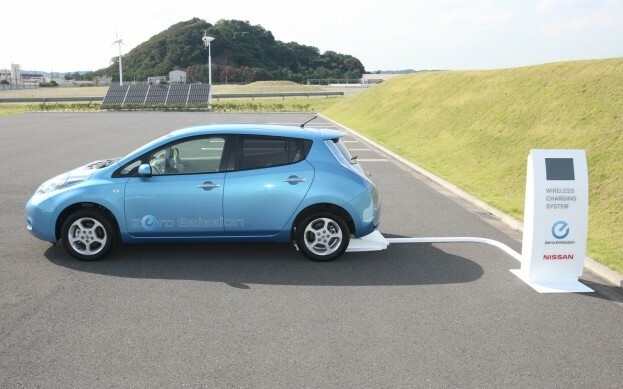 Nissan says that charging via the electromagnetic induction system is about 80 to 90 percent energy efficient, compared to the direct line of the current wired system.